DISCLOSURE: This post is sponsored by the Breast Cancer and the Environment Research Program. Do you have a person in your life who is so important to you that the mere thought of losing them takes your breath away? For me, that person was my grandma. She lost her battle to breast cancer many years ago, and not a day goes by when I don't think about her and miss her. As October draws to a close, it's important to shift my focus away from Down syndrome awareness for a bit to something that affects millions of women. It's also Breast Cancer Awareness Month, which is every bit as important. It's estimated that 1 in 8 women will develop breast cancer during the course of their lifetime. As a mom to four children, two of whom are daughters, this statistic terrifies me! I'm willing to bet that most people personally know a woman who was or currently is affected by breast cancer. That's why it's crucial to continue to bring awareness to this topic. I don't believe in focusing on regrets in life, but I can't help but wonder what if when I think about my grandma. My grandma was my best friend. With two parents who worked and 6 older siblings who were living their own lives, I spent more time with my grandma than anybody else. She taught me how to do cartwheels and how to ride a bike. She patiently took every fish off the hook, because I loved to fish, but it grossed me out. We baked together, and we watched hour after hour of Jeopardy and Wheel of Fortune. We spent so many hours talking on the glider that sat on her front porch that overlooked the pond. I was still a teenager when my Grandma got sick. It was the dreaded word: cancer. Specifically, breast cancer. It hit me like a punch in the stomach, but I was in denial. Looking back, I wish I spent more time with her during that last year, instead of focusing so much on my own life. There were so many questions I should have asked while we still had time, but I just didn't believe my rock would ever leave. And when she was gone, it was a like a light went out in my world. Even now, as I write about how amazing my grandma was, the tears fill my eyes. My grandma chose not to be treated for breast cancer, because she didn't want to go through the grueling treatment. It was her decision, and hers alone, but she still had so many years ahead of her. I can't help but think of how much she missed. She met my future husband and saw my wedding dress, but didn't get to see me walk down the aisle. She didn't get to meet any of my four children. They would have adored her, and she would have loved them as fiercely as she loved me! All I have left are memories, some pictures, and a few of her favorite treasures. I keep them displayed in my home, and I talk about her often in hopes that my kids will at least get to know her through my stories. She was a person everybody adored, and the loss had a tremendous impact on so many people. I can't change the past, but what I CAN do is take steps to protect our future. My future, Lexie's future, and Lily's future. 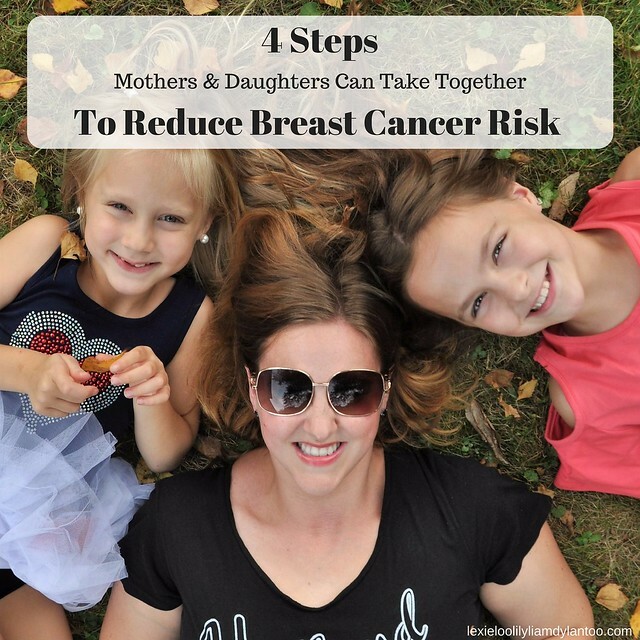 We can take steps to reduce our risk for breast cancer. What if we knew then what we know now? Researchers continuously study breast cancer in the hopes that one day it can be prevented and cured. 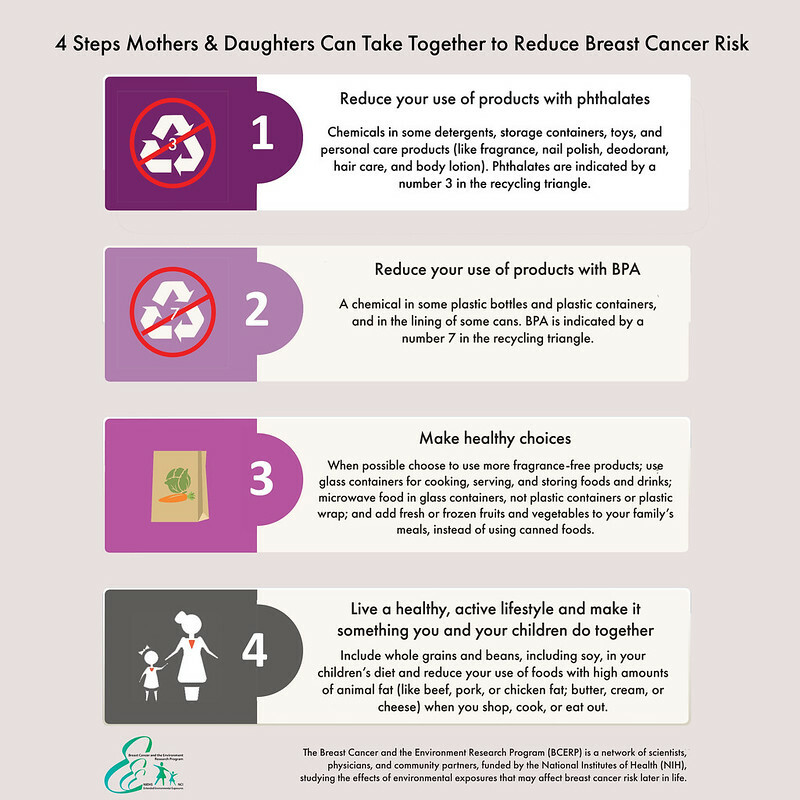 The Breast Cancer and the Environment Research Program (BCERP), which is supported by the National Institutes of Health, studies the effects of environmental exposures on breast cancer risk later in life. BCERP is studying whether exposure to certain chemicals and foods may change how girls’ bodies mature and impact breast cancer risk. It's still too soon to say that avoiding these chemicals and foods will lower the risk, but now is the time for you and your daughter(s) to start taking healthy steps to reduce the risk. 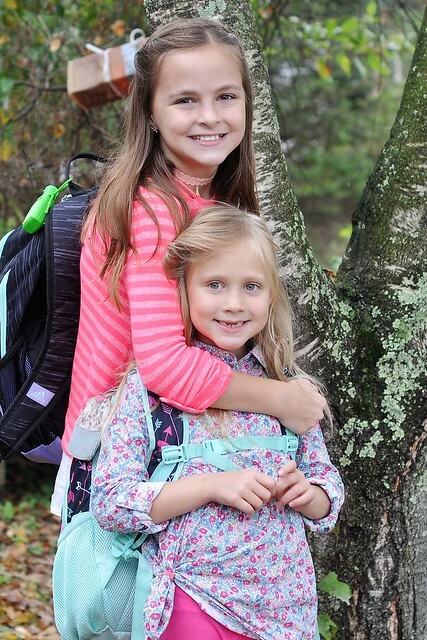 They created a mother-daughter toolkit mothers can use to talk to daughters about steps to take together to reduce risk. Those are all simple steps I can take to protect my future with my children! We already incorporate most of those things into daily life, but this is a great reminder to be more diligent about eliminating all of those things from our lives, and focusing on a healthier lifestyle. If it will potentially reduce our breast cancer risk, then it is worth it. 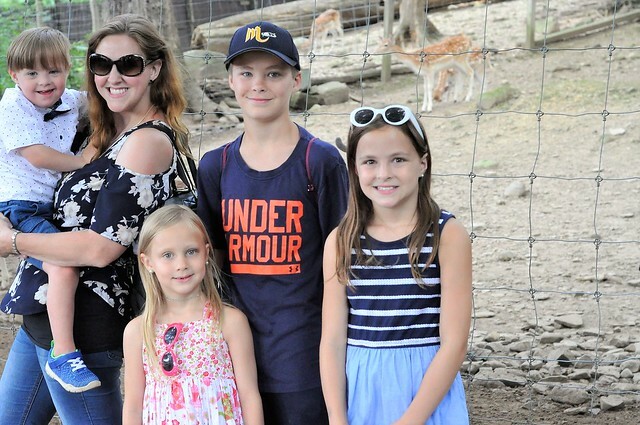 I will do anything to keep my girls - AND my boys - safe, and I hope one day I will be able to sit on a glider with my grandchildren and great-grandchildren! Please take a few minutes to complete this brief survey so you can help with the important work the researchers are doing. *BCERP’s education materials are based on scientific evidence and available free to the public. However, BCERP has guidelines and requirements when using their documents, which can be accessed here: https://bcerp.org/educational-materials/customization. Thank you so much for sharing your personal story, those things can be so hard on the whole family. I love the tips you shared too. Knowledge is power! Cancer is so scary. I'm sorry about your grandmother. I agree- I hate cancer. Great post! This is such great information. My grandmother had breast cancer and fortunately survived it, so I have to be really careful.